GU-50 (ГУ-50, folklore HAM name "poltinnik" meant "half-a-buc") was an universal, most common xUSSR power tube from the 50's up to the present days. It could be found in an every technical shop everywhere and was so inexpensive, in an usual TV-set's tubes price range. So funny, but sockets for those halfbucs was so rare and priced much more. These power pentodes has been used as a transceiver final (one or pair of ones in parallel), in a modulator for the more powerful tube in AM transmitters, in a driver stages and (when SSB times comes) in the most common general class amplifier - three (or four) GU50 in parallel with all grids connected to the ground. 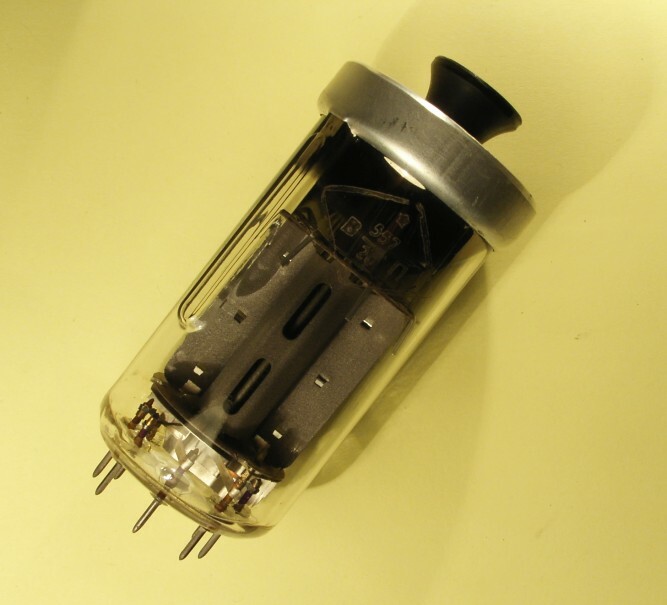 GU-50 is russian version of WWII Luftwaffe LS 50 general purpose HF power pentode by Telefunken, also known as RL 12 P 50 tube in Wermacht's transmitters. Main difference between russian and german versions - socket construction and dimentions, so I'm not quite sure that it is possible to use russian GU-50 as a spare part for a vintage german transmitter. There are several other members in this family, such as DDR SRS 552 M tube, SL 152 (~12.6V filament) and EL 152 (~6.3V), but I don't know any more about these tubes, only that these tubes exists. 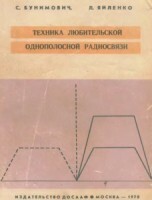 There was a Book Of The Books in early 1970's - "Amateur Radio SSB Equipment" by S. Bunimovich (UB5UN) and L. Yailenko (UT5AA). Funny, but this book can be found in a common pirate's shack as well as in an Extra-class (1-st xUSSR category) HAM one. Yes, xUSSR pirates used AM only (mainly? ), but this book was a great source of knowledge about tubes, transmitting equipment etc for everyone who been proud to heat The Ether. There is a huge pile of a very complex things that described so comprehensible in this book, such as Phase Shift SSB Modulators, complete Transmitters, SSB Receiver's features, Dynamic Biasing and much more, but it is too hard work for me to translate all of those great articles and I decided to start with exposition of pair of a Ground Grid Linear Amplifiers - so simple, not so powerful, but namely these amplifiers was most popular in 1970's. Thought, every xUSSR HAM made one of these amplifiers and used one with a great success.